Scholarship students must order from this page. 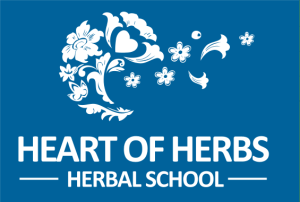 Heart of Herbs is able to offer limited scholarships to students. If you are eligible for a scholarship, students need to apply for the option(s) they are interested in. If you are interested in a payment plan please see the PayPal link below. The actual tuition you will be responsible after the partial scholarship is listed below. We can’t offer full scholarships. Students are able to apply to more than one program, but for the option to be available for dual enrollments students will need to enroll in both programs at the same time. All scholarship enrollments are through the eLearning Student Portal and all materials will be available through the online classroom. If additional texts or supplies are included in your program they will not be for scholarship enrollments, this way we can offer more scholarships and students can resource used books or purchase books or materials for themselves. To apply for a scholarship students need to do the following. Please do not ask for a scholarship unless you need one. We get multiple requests a week and try to weed through them all. With the payment plan option offered by Paypal, most students will find a way to finance their education. Brief essay on why they should be offered a scholarship. This can be a few paragraphs but please limit your submission to less than two pages. Students will generally be notified within 36 hours of acceptance. Scholarship options are open to students for 2 weeks after receipt of acceptance. If you are unable to enroll in the 2 week time frame students are invited to reapply. We do this because of the high volume of scholarship requests received. Please do not request free tuition, these are for partial scholarships. Scholarship students pay for enrollments using the payment links below, the amount paid is actual tuition amount. Enrollment and login instructions will be emailed to students upon receipt and processing of payment. For more information about the individual programs please visit the corresponding page on the website. For all Heart of Herbs Scholarships no refunds, no returns, special scholarship pricing. Please insure that you are serious prior to placing your order.